Lightweight and agile, yet tough and waterproof, the Danner Vicious 4.5" hiker was built to be the best of both worlds. The new last is designed to cup your heel for a securely supportive fit, while offering a roomier toe box for a more natural feel. 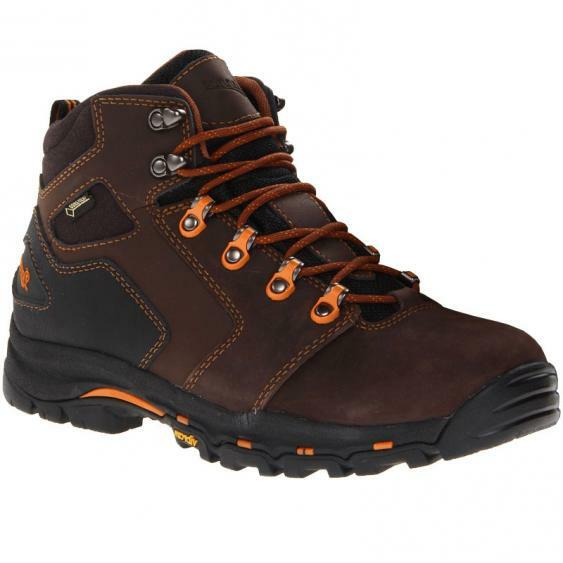 The dual density EVA midsole provides excellent shock absorption and a more cushioned step, while the oil and slip resistant outsole features a low profile 90 degree heel, making it perfect for both indoor and outdoor work. The abrasion-resistant heel cap and all-leather upper provides durability against tough jobs, and the waterproof upper is reinforced with a waterproof and breathable GORE-TEX® liner.